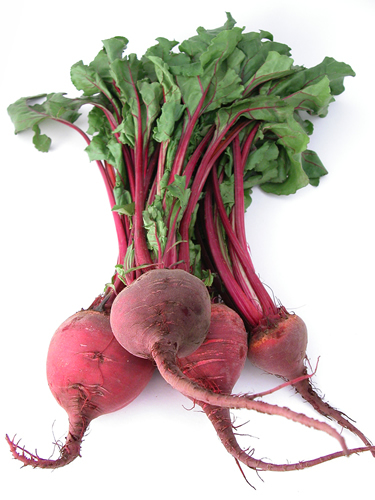 I bought beets over the weekend in hopes of using them in my Nutribullet to makes Smoothies. They ended up overpowering whatever additional ingredients I decided to put in. Because of this, I ended up not utilizing them in smoothies going forward. I did, however, still have a large number of unused beets. In previous conversations with some friends of mine, I had been told that roasting is the best way to cook and eat beets. So off I went to the internet to pull up a beet roasting recipe. Most of the recipes were similar so I just dove right in and started preparing my beets for roasting. Preheat the oven to 425, dribble olive oil on the beets, add salt and pepper for seasoning, and walla. After 40 minutes of cooking they should be done. The fork test is the key. If the fork softly goes into the cooked beats then they are done. Well after just short of 40 minutes I checked them and they fork still had difficulty penetrating the cooked beets. So I decided they need longer to roast. Back into the oven the beets go and I do a quick check on Facebook to see what the social world and my friends that are in it are up to. 20 minutes later my daughter says to me, “Dad, you should check on the beets.” Damn, that’s right I have beets in the oven. Or I should say I had beets in the oven. Nice beautiful purple beets has turned into shriveled up lumps of coal. Regardless, I decided to try them since I has already put in all this effort. So what did they taste like you ask? Burnt beets and pretty much inedible. And the moral of the story is, don’t check Facebook when you have something cooking in the oven. Oh… sorry. It seems like I’ve burned everything at one time or another — including water.